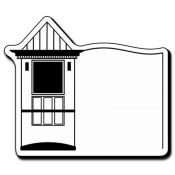 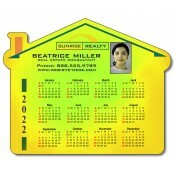 House shaped magnets are perfect to house your business information in their consciousness. 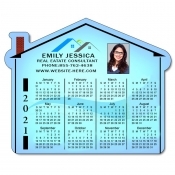 Well-suited for real estate marketers, contractors, banks, mortgage companies, insurance agents and individual businesses, which serve real estate customers. 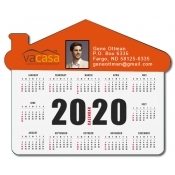 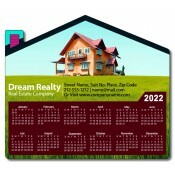 Custom house shaped calendar magnets and house shaped business card magnets are hot sellers under this category. 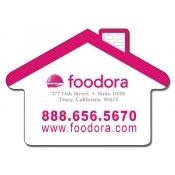 Order wholesale custom house shaped refrigerator magnets and save huge. 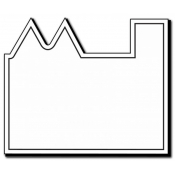 Free ground shipping offered within contiguous USA. 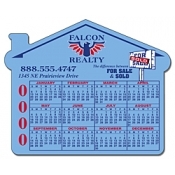 Customized house shaped refrigerator magnets make one of the best promotional items for the real estate market because they make messages stick. 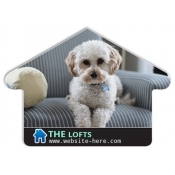 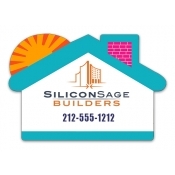 Over the years, house shaped magnets have become one of the most ordered promotional real estate magnets because these are largely affordable and adorable. 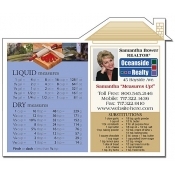 Most customers’ nurse deep penchant for colorful custom shaped magnets and they are sure to retain them as a refrigerator art. 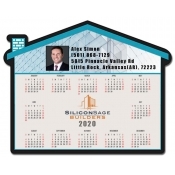 Whether used as a part of a direct marketing promotion during tradeshows or sent as feelers during mail campaigns, these realtor magnets are sure to make impressions on the go. 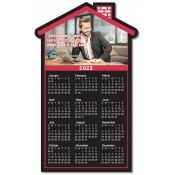 Regardless of the opportunity, these custom magnets will help you to close the deal on dotted time. 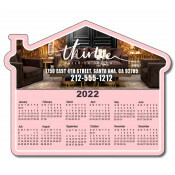 Whether you buy, restore, and sell houses, these printed house shaped magnets will ensure that you remain in the house, whenever your clients need you! 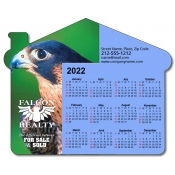 Harness full potential of brilliant full color printing to make the most of these custom magnets. 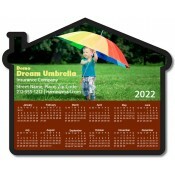 You can choose from a vast palette of colors to make your brand logos, graphics and information stand out in the crowd. 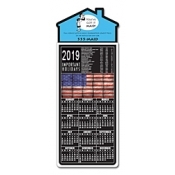 To know more about promotional house shaped magnets, feel free to contact us 855-762-4638 or mail your requirements to info@Cmagnets.com.